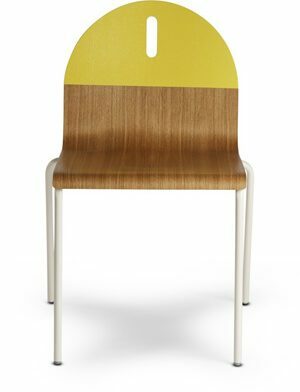 Ronda is a collection of armchairs with oak or upholstered shell paired with a variety of wood and metal bases. Its iconic shape seamlessly combines vintage elegance with contemporary freshness and sophistication. Base options include four steel or oak legs and a four star central swivel base constructed of aluminum with a polished finish and self-return. The various combinations make for a versatile collection that provides solutions for many different settings. Armchair with upholstered seat and backrest and steel sled base in polished chrome finish. Maintenance and cleaning: Hide Leather repels stains, making them easy to wipe away with a dry cloth. For stubborn stains, rub with a clean, damp cloth with water or ammonia. Design Public is an authorized USA dealer for all Andreu World products.